The Foo Fighters are in the UK preparing for the closing ceremony of the Invictus Games at the moment, and they’ve been busy. Dave Grohl has to be the hardest working man in rock. He played drums for one of the biggest bands in the world, moved on to front another of the biggest bands in the world, and has even found time to launch a couple of side-projects too. Does the man ever rest? Apparently not. The Foo Fighters are headlining the Invictus Games closing ceremony in London this weekend but instead of relaxing in their hotel room before the big gig, they’ve put on a couple of intimate shows for their fans in Brighton and London. The band packed out the Concorde 2 in Brighton on Wednesday and the House of Vans in London on Thursday, with around 500 or so lucky fans at each show. Renaming themselves The Holy S**ts, the band played a set consisting of well-known hits and some lesser-known tracks from their earlier albums, including Up in Arms from The Colour and the Shape and Weenie Beenie from their self-titled first album. Grohl was apparently on his usual good form throughout both gigs. At one point, he even invited the lead singer of the UK Foo Fighters on stage to take his place during a song, which is surely the pinnacle of achievement for a tribute band singer. Busy Dave isn’t finished quite yet though. The band have another gig planned tonight at the Islington Assembly – although it’s already sold out. It’s not all bad news though, Foos fans. Grohl teased a week of gigs at Wembley Arena during the Brighton set – fingers crossed that turns out to be true! 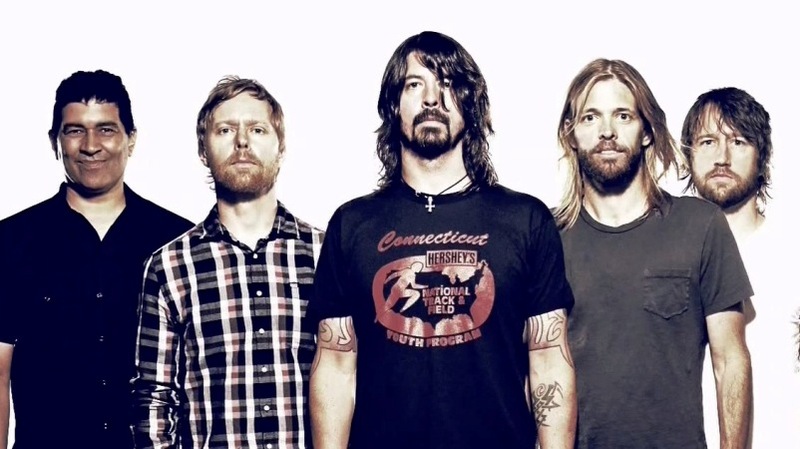 The Foo Fighter’s new album, Sonic Highways, is out on 10th November. Sell some CDs with musicMagpie to clear some space for it!